It’s hard to get Xin Dong (Rosey) Ma, MD (China), LAc, to talk about the path that brought her to Bastyr Center for Natural Health, when all she really wants to do is show you the hundreds of photos of children she has helped bring into the world. As a licensed acupuncturist with two medical degrees under her belt, Dr. Ma is equipped to treat almost any ailment using acupuncture and Chinese herbal medicine. But where she really shines is in treating women for infertility and other reproductive health issues. Since she began treating patients at Bastyr Center in 1993, Dr. Ma says her fertility treatments have helped women give birth to as many as 500 babies – and she has photos of almost every one of them to prove it. Dr. Ma graduated in 1976 from Heilong Jiang University of Acupuncture and Traditional Chinese Medicine in Harbin, China, earning both traditional Western Doctor of Medicine (MD) and Eastern Oriental Medical Doctor (OMD) degrees. With dual specialties in internal medicine as well as obstetrics and gynecology, she promptly began her life’s research combining traditional Chinese and Western medicine approaches in the treatment of gynecological issues including infertility, uterine endometriosis, anemia and tumors. Her broad experience with both Eastern and Western medicine includes a decade spent in the emergency room and in internal medicine at the Chinese Naval Hospital Center in Beijing, where she also delivered babies and did other work in the gynecology and obstetrics department. 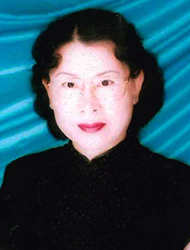 In addition, she served as director, chief physician and director of medical affairs at Heilong Jiang University until she moved to the United States for an academic exchange in 1991. In 1993, she started teaching clinical medicine at Bastyr Center for Natural Health, where she supervises Team Care appointments in acupuncture and Chinese herbal medicine. After moving to the United States, Dr. Ma says she began to notice a higher number of infertility patients than she had seen in China. With her breadth of experience in women’s health, she started treating these infertility patients by turning to the basics of traditional Chinese medicine: finding balance and boosting qi ("chee"), the underlying life force that runs through the body. Dr. Ma shares successful fertility stories treating hormone complications or decreased ovary function caused by extended use of birth control; helping women reduce uterine fibroids that were so severe their medical doctor was inclined to give them a hysterectomy; or simply acupuncture to help decrease mama-to-be’s stress level. Some patients get pregnant within just a week of two of meeting with Dr. Ma, but some need more frequent visits to really get their qi flowing. Read about one Bastyr Center patient’s experience treating infertility with acupuncture. Dr. Ma has plenty of regular patients both at Bastyr Center as well as at her own Seattle clinic. But many of her infertility patients hear about many successes from a friend or a friend-of-a-friend, some even traveling from overseas. Women who have suffered multiple miscarriages or who are dealing with cancer or other oncology issues find their way to her, and Dr. Ma even shares stories about helping women avoid a Cesarean section with help from Chinese herbs to help turn a breached baby. To make a Team Care appointment with Dr. Ma or another practitioner at Bastyr Center for Natural Health, go to our Make an Appointment page or call (206) 834-4100. Has one of our providers, students, alumni or staff members made a difference in your care? Share your Bastyr care story and acknowledge your care provider today! Tell us about a positive experience at Bastyr Center for Natural Health by emailing us at [email protected] or call us at 425.602.3355. Bastyr University students are the caregivers of tomorrow! Whether for scholarships, academic programs or research, every gift helps Bastyr students pursue the education that empowers their dreams. Visit Bastyr.edu/Support/Give.